Depending on the type of vessel and its cargo (LNG carrier, bulk carrier, oil tanker, LPG carrier, FPSO, shuttle vessel etc), dangerous gas concentrations can form in the atmosphere at any time. Liquid gas, fuel, chemicals and other fossil fuels harbour a risk of explosion and there is a danger of suffocation from lack of Oxygen when using Nitrogen or other non-flammable gases for inerting. It is also important to be aware of dangers presented by toxic gases such as Carbon Monoxide from exhaust fumes, or Hydrogen Sulphide from the decomposition of organic compounds found in the briny water inside ballast tanks. 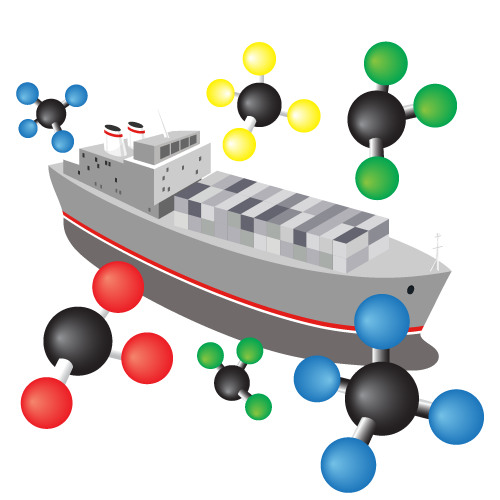 Oxygen deficiency is also a risk in marine applications due to the process of oxidation, so robust monitoring for Oxygen deficiency is also an essential aspect of marine safety. Our gas detection solutions are specifically designed to offer high performance detection of these gas hazards. Whether you are on-shore or off-shore, our range delivers the protection demanded by your application.